FESTIVAL OF LIGHTS, OR FESTIVAL OF LICE? As temperatures drop, we generally see a drop in insects and other pests. Sadly, this does not apply to head lice populations, and you might even notice more infestations in your community. For one, all of those cozy hats, scarves, coats, and other wintertime accessories we love to wear make it that much easier to spread the nasty critters. We also tend to spend more time indoors and in closer quarters, and all that togetherness means we’re sharing more than holiday cheer – we’re sharing nits and head lice as well. While the odds of your kids coming home with unwelcome, six-legged guests may be heightened during the holidays, there’s no need to despair. By following a few simple tips, you can reduce your family’s risk of head lice infection. Avoid coat racks: While head lice can’t fly or jump, they do crawl, and a crowded coat rack at school allows them the opportunity to migrate. Head lice can’t live long without a human host, but they might just survive long enough to hitch a ride home with your child! If possible, have your kids hang coats and other winter wear on the backs of their chairs at school. No sharing: This rule applies year-round, but winter hats, earmuffs, and scarves provide additional temptation to swap gear. Let your kids know that this is not the time to practice sharing! Check heads regularly: Especially if you’re aware of frequent outbreaks in your area, consider checking your family’s heads regularly for head lice and nits. It’s always easier to treat an infection sooner rather than later, and before the lice have spread to all family members. Should your best efforts fail, and you find your family in the midst of a lice outbreak, early treatment is your best defense for eliminating the pests once and for all. 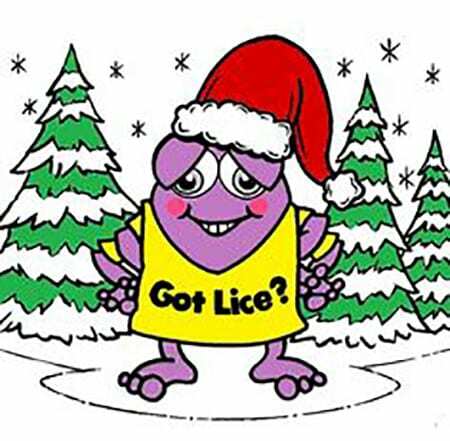 There’s no need to let head lice spoil your holiday season when swift treatment is available. At Lice Lifters DFW, we offer head checks for the entire family, and fees for this service are waived when a treatment plan is pursued. We feel good about our natural, non-toxic head lice treatment, and guarantee results. For more information, get in touch with us at Lice Lifters DFW – call 972-805-1308 or contact me at infodfw@licelifters.com.